To contribute to the overall social, environmental, and economic health in our service area by delivering safe, reliable and affordable transportation and, at the same time, being a responsive, responsible employer. To become a model community transportation system committed to quality service, employee-management collaboration, and innovation. As we move into the 2020’s, TCAT aims to be a best-in-class transit organization: internally and externally. 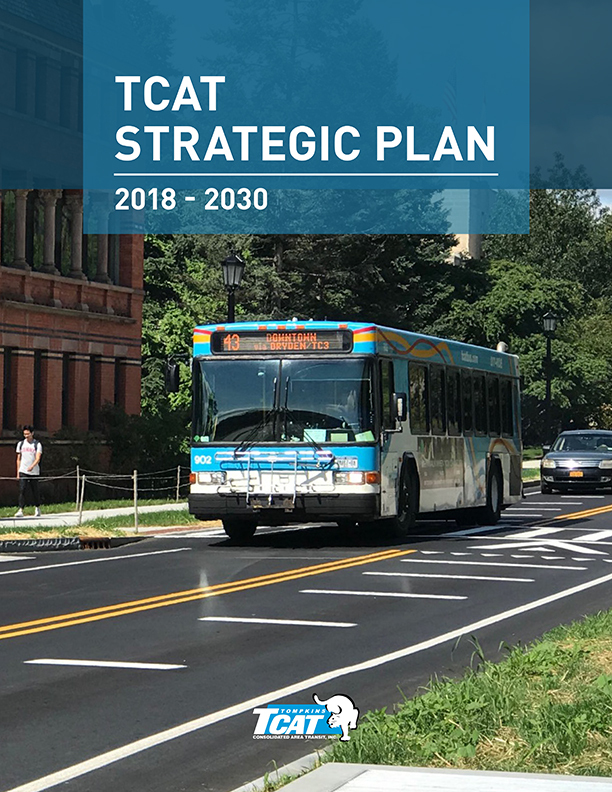 The TCAT Strategic Plan 2018 – 2030 strives to translate our mission, vision, and core values into a set of short- and long-term actionable steps in service of these goals. Click here to download PDF of the complete plan.